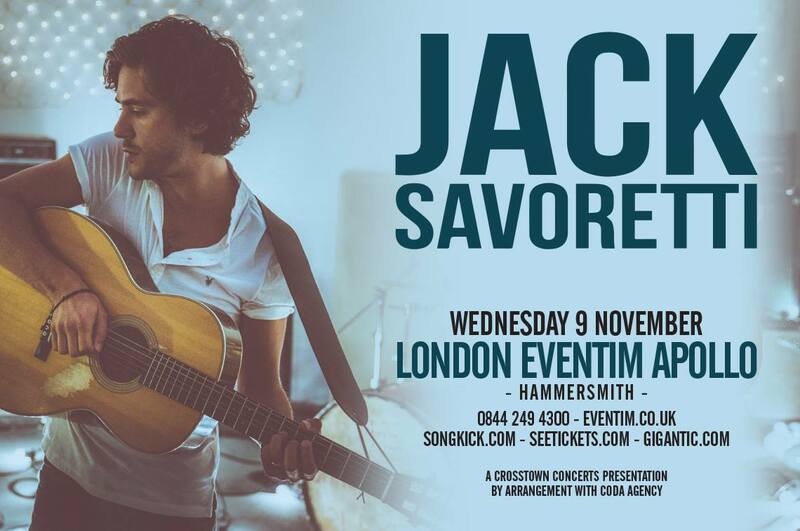 The best kind of news is a Jack Savoretti show announcement... he continues to grow more and more popular so I'm feeling very lucky to have grabbed tickets in the pre-sale for his London Eventim Apollo show on 9th November. It's a long time to wait but will be worth it entirely, as Jack and his band are superb live, and it doubles up as a birthday present as the gig falls on my mum's birthday - perfect timing! As if you need persuasion, or if you're oblivious to Jack's talent, here's a new live video from the Written In Scars tour, of the track Home, which is being released as a single in May. The venue has a pre-sale tomorrow from 9am through this link and general sale will be Friday at 9am. Hugely recommend grabbing a ticket and doing it quickly if you plan to - there will be a lot of demand. The Cadogan Hall show last month and his upcoming summer show at Somerset House both sold out very quickly!